Weight Loss Capsules USA: With the hectic lifestyle and horrible dietary patterns weight reduction is a bigger challenge than it ever was in past. 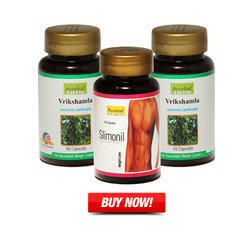 To handle the increasing stress of losing weight, Ayurleaf Herbal has now accompanied Weight Loss Capsules called Slimonil. It is created with the result oriented herbs. These herbs reduce fat and help you to get in shape in a sound manner. 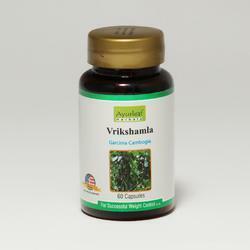 Herbs which are included help assimilation, enhance digestion system and help to increase self confidence. These natural herbs help you to fight issues cussed by obesity like hypertension, diabetes, joint pain, back ache, coronary illness and other diseases. 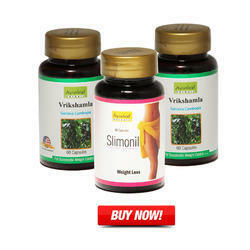 Ayurleaf Herbal Weight Loss Capsule Slimonil serves to control appetite without making you feel week. It does not only burns fat but it also boost your energy level. So start your battle against obesity in a natural way and achieve the body which you have dreamed of. Rudrajata ( Aristolochia Galanga) 25 mg, Pippalimul (root of piper longum) 25 mg.
Pippalimul (root of piper longum) 25 mg. 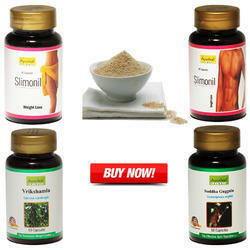 It contains 7 exclusive herbs that promote Herbal Supplements for Lose Weight weight loss by burning away the fat. It has Medohar Guggulu 250 mg, Vidang (Embelia Ribes) 50 mg, Vijayasar (Pterocarpus Marsupium Stick) 50 mg, Punarnava (Borhavia Diffusa) 50 mg, Rudrajata ( Aristolochia Galanga) 25 mg, Pippalimul (root of piper longum) 25 mg.